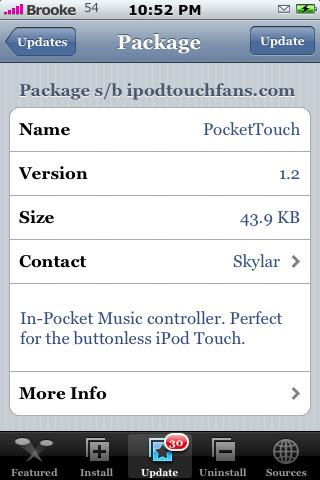 Skylar has recently taken his iPod Touch Fans source out of Community Sources due to the fact that has does not have the time necessary to keep up with it. 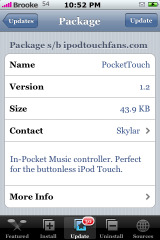 In doing this, BigBoss is now hosting the applications from the iPod Touch Fans source. 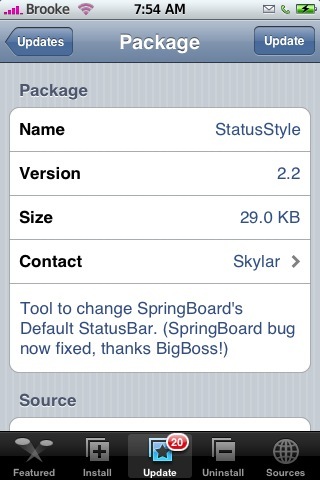 Below is the list of applications that have been moved to the BigBoss source. 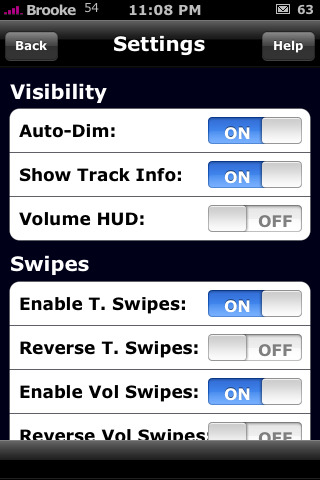 Version 1.2 of PocketTouch makes a few subtle but sleek changes. 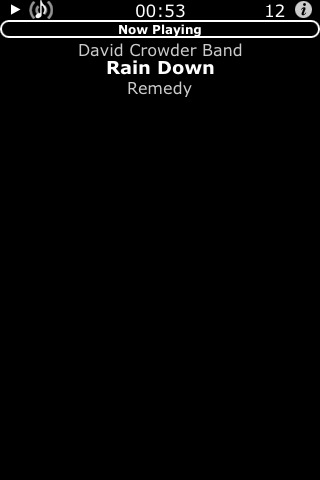 When playing a song…the Title of the song is now bolder…making it much easier to read and the Now Playing is smaller. 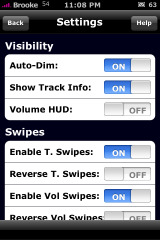 Also, the Settings Menu is now black instead of grey and had a few font changes…a much cleaner look, I like it. 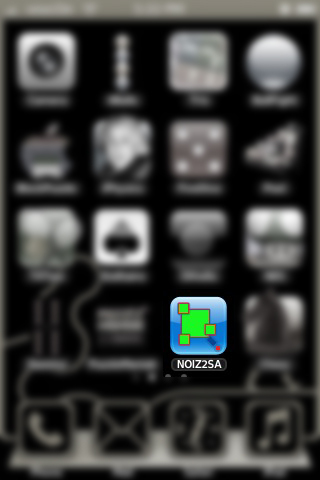 Other than that…the app still works the same! 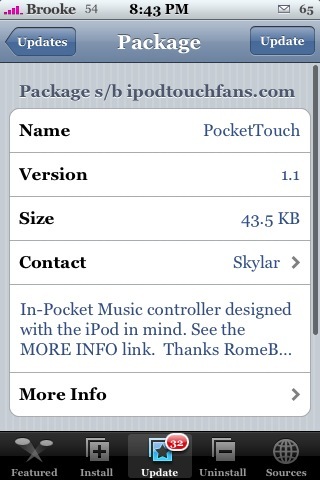 PocketTouch is avialble through the iPod Touch Fans source. 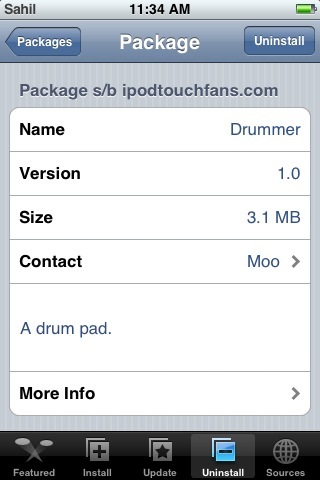 iPod Touch Fans have added a 1.1.3 SummerBoard themes fix called “1.1.3 Theme Fix” to their repo. 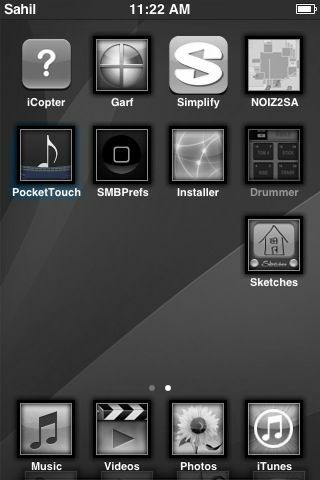 It can be found in Installer.app under the category “Tweaks (1.1.3)”. 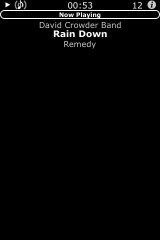 Install it once, then every time you add a new theme through the Installer.app go to the uninstall list in Installer and “reinstall” the 1.1.3 Theme Fix, similar to how you reinstall BSD Subsystems. 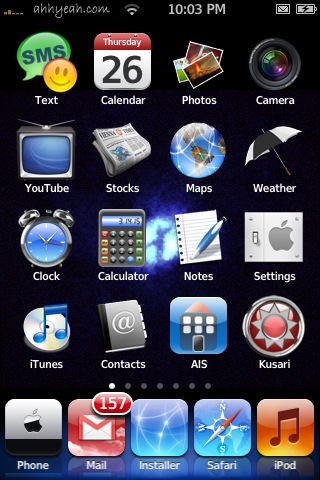 This is just a code application, you will not see anything on your Springboard!